Pink eye — also called conjunctivitis — is inflammation of the thin, clear covering of the white of the eye and the inside of the eyelids (conjunctiva). Conjunctivitis can have several causes (see below), but many eye doctors use the term "pink eye" to refer only to viral conjunctivitis, a highly contagious infection caused by a variety of viruses. "Pink eye" may sound scary to hear, but this common eye problem typically is easily treated. Moreover, with a few simple precautions, pink eye can often be avoided. One type of pink eye, though, can cause serious vision issues if it is untreated. See your eye doctor if you are concerned about your pink eye. Anyone can get pink eye, but office workers, store employees, preschoolers, schoolchildren, college students, teachers and child care workers are particularly at risk for the contagious types of pink eye because they work closely with others. Viral conjunctivitis. Caused by a virus, like the common cold. This type of pink eye is very contagious, but usually will clear up on its own within several days without medical treatment. Bacterial conjunctivitis. Caused by bacteria, this type of conjunctivitis can cause serious damage to the eye if left untreated. Allergic conjunctivitis. Caused by eye irritants such as pollen, dust and animal dander among susceptible individuals. Allergic conjunctivitis may be seasonal (pollen) or flare up year-round (dust; pet dander). Viral conjunctivitis symptoms include watery, itchy eyes or sensitivity to light. One or both eyes can be affected. Viral conjunctivitis is highly contagious and can be spread by coughing and sneezing. Bacterial conjunctivitis symptoms include a sticky, yellow or greenish-yellow eye discharge in the corner of the eye. In some cases, this discharge can be severe enough to cause the eyelids to be stuck together when you wake up. One or both eyes can be affected. Bacterial conjunctivitis is contagious, usually by direct contact with infected hands or items that have touched the eye. Allergic conjunctivitis symptoms include watery, burning, itchy eyes and are often accompanied by stuffiness and a runny nose, and sensitivity to light. Allergic conjunctivitis affects both eyes, but this type of pink eye is not contagious. Viral conjunctivitis treatment In most cases, viral conjunctivitis will run its course over a period of several days and no medical treatment is required. Applying a cold, wet washcloth to the eyes several times a day can relieve symptoms of viral conjunctivitis. Bacterial conjunctivitis treatment Your eye doctor typically will prescribe antibiotic eye drops or ointments for the treatment of bacterial conjunctivitis. Allergic conjunctivitis treatment Allergy medications often can help prevent or shorten bouts of allergic conjunctivitis. Often it can be difficult to tell the type of conjunctivitis you have by symptoms alone (or if some other eye or health conditions are causing your symptoms). Conditions associated with conjunctivitis include dry eyes. Also, bacterial conjunctivitis sometimes can lead to very serious eye problems potentially causing permanent vision loss. For these reasons, anytime you develop red, irritated eyes, you should call your eye doctor immediately and schedule an eye exam. If you wear contact lenses and have red, irritated eyes, remove your lenses and wear only your spectacles until your eye doctor has had a chance to examine your eyes. Now that you know the basics about viral pink eye and other forms of conjunctivitis, what can you do to protect yourself and your kids from it? Never share personal items such as washcloths, hand towels or tissues. Cover your nose and mouth when coughing or sneezing, and avoid rubbing or touching your eyes. Wash your hands frequently, especially when spending time at school or in other public places. Keep a hand sanitizer nearby and use it frequently. Frequently clean surfaces such as countertops, bathroom surfaces, faucet handles and shared phones with an antiseptic cleaner. If you know you suffer from seasonal allergies, ask your doctor what can be done to minimize your symptoms before they begin. If you wear contact lenses, follow your eye doctor's instructions for lens care and replacement, and use contact lens solutions properly or consider switching to daily disposable contact lenses. When swimming, wear swim goggles to protect yourself from bacteria and other microorganisms in the water that can cause conjunctivitis. Before showering, remove your contact lenses to avoid trapping bacteria between your eyes and the lenses. Wash your hands often, to keep viral pink eye from spreading. Despite these precautions, you or your child still may develop pink eye. If your child is affected, tell his or her teacher about the infection so extra steps can be taken to sanitize the classroom or day care center. Also, keep your child home until the contagious stage has passed. Your eye doctor will let you know when you or your child can be around others without risk of spreading contagious pink eye — usually about three to five days after the diagnosis. 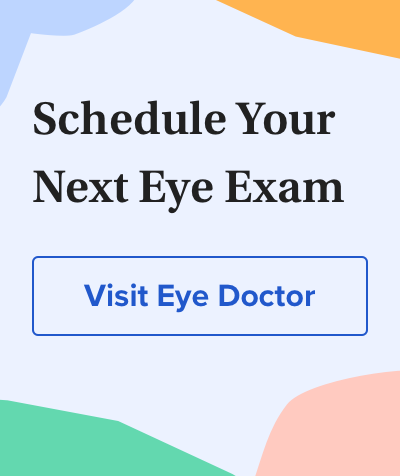 If your pink eye doesn't clear up and because a red or pink eye can be a symptom of many different types of eye problems — some of which can be quite serious — see your eye doctor.